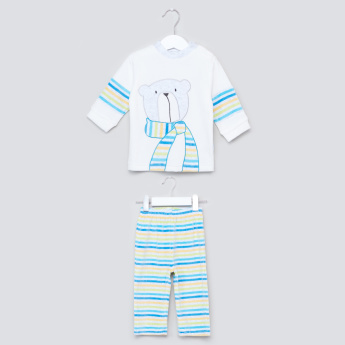 Provide maximum comfort to your son while sleeping by getting this attractive t-shirt and pyjama set. 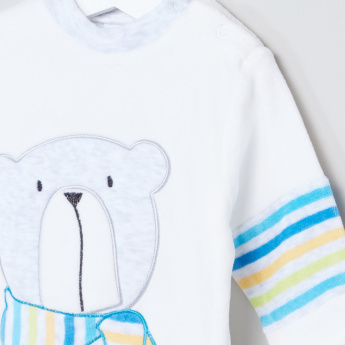 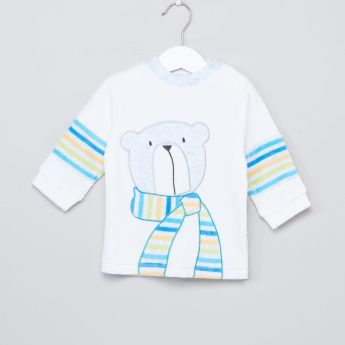 Displaying a lovely teddy bear print and long sleeves, the t-shirt looks quite fetching. 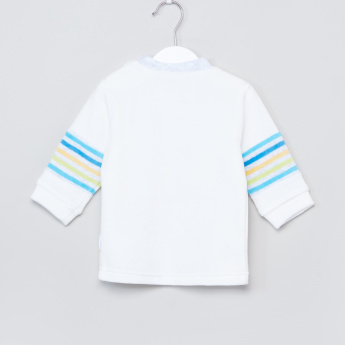 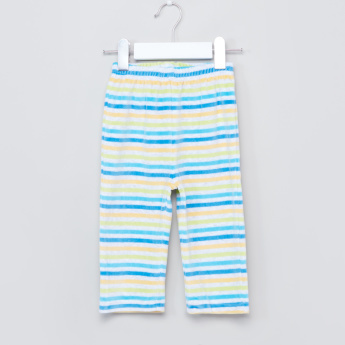 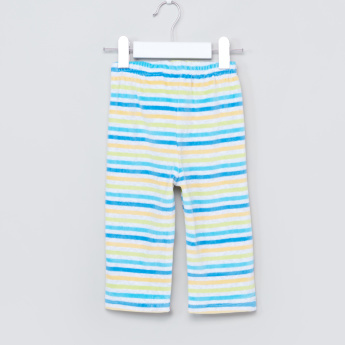 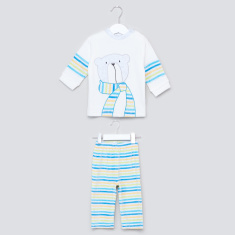 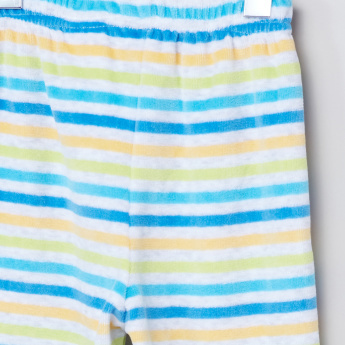 The accompanying striped pyjamas have a soft elasticised waistband that offers a perfect fit.